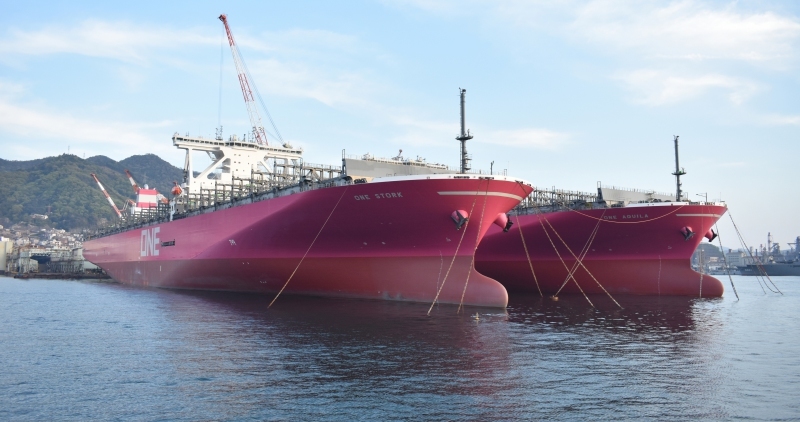 ONE STORK (IMO 9784788) and ONE AQUILA (IMO 9866043) being completed at Kure, Japan. Photo taken on 10 April 2018. This photo has been shown 1,131 times since it was added to the site.